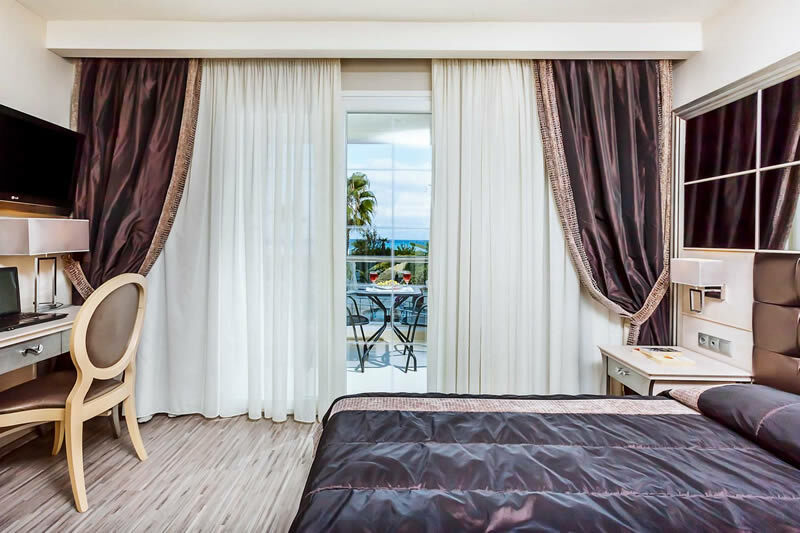 Elinotel Apolamare allows its guests to enjoy the peace and privacy with its cosy area and clean beaches. Trying to please every client, Elinotel Apolamare does not get tired to surprise guests with the widest choice of thematic and musical evenings. Our youngest guests will enjoy the entertaining programs, special menu and a children's pool. The hotel is an ideal place for family holidays and friends vacations. 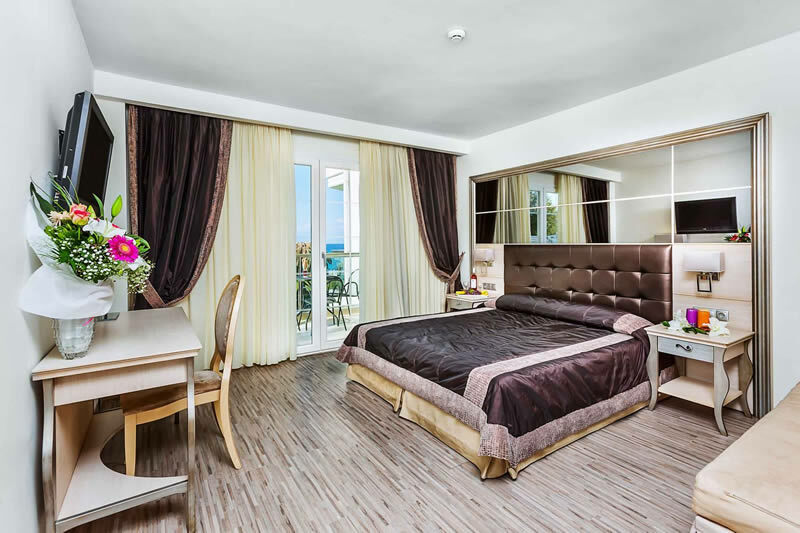 The Modern "Palace Complex» Elinotel Apolamare is a realization of a beautiful dream! Our guests that stayed in the hotel once become the regular customers of Elinotel. 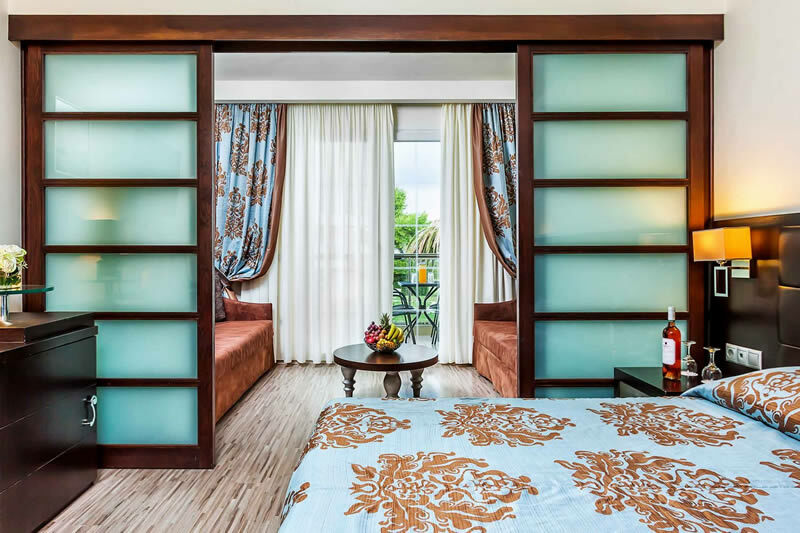 An elegant five star waterfront boutique hotel of the highest level, which offers 86 comfortable and bright rooms and suites with stylish interiors, elegant furnishings ,is equipped with the latest technology. 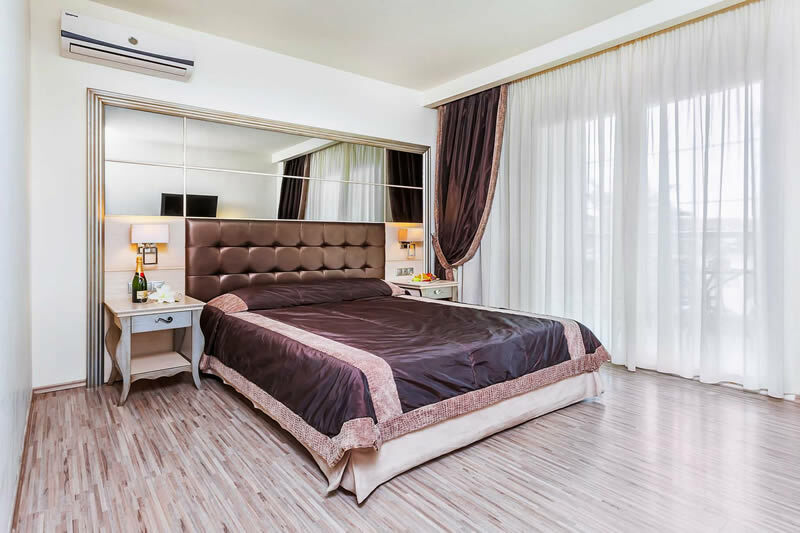 Elinotel Apolamare is constructed with high-quality materials in the Baroque style, while the rooms are designed in a classic style with individual designs. 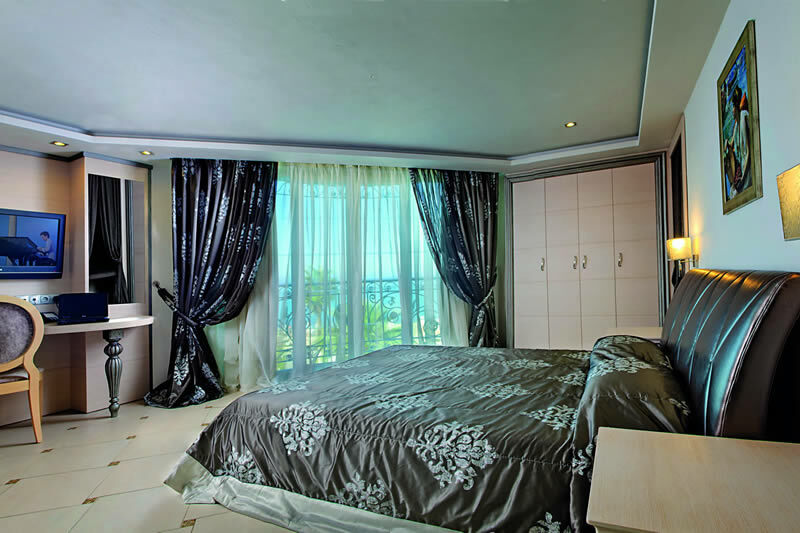 family suite consists of two separate bedrooms for ultimate family comfort and relaxation: the Apolamare family suite. There is plenty of space in the family room for sure! Two large sliding doors allow to separate the main sleeping area from the sitting area. Bring your kids as well! This room type easily accommodates up to three adults, or two adults and two children. If it is just the two of you, and maybe a little baby, the double room will offer you plenty of coziness and comfort during your stay with us. While on vacation you deserve to treat yourself! Your style is who you are. Each of us is unique and original, but everyone just loves to be pampered and feel revitalized and energized. Elegant hairstyle, nice manicure and pedicure, massage will help you look great during your vacation. Clean Greek air and sea water will do its job. The daily workout, fresh fruits and vegetables and vitamins will enhance your beauty naturally! The elegant restaurant "El Greco” is located on the ground floor, overlooking the hotel's inner yard, and serves breakfast, lunch and dinner in a rich buffet style. Relax at the Lounge-style pool bar serving brand drinks, beer, a selection of cocktails, and a variety of coffee, tea and juices. Elegant business area has everything necessary for our guests. The space for business meetings and negotiations, where you will be able to work in a quiet atmosphere, check your mail, discuss current business or upcoming projects with your partners and friends. Stay fit during your holiday! For guests who are used to exersising, we suggest a visit to our Fitness Centre for efficient workouts. Elinotel Apolamare Fitness Room is equipped with all modern facilities and is free of charge for our guests. The enchanting blue waters of the Toroneos Bay are the scenery of your daily activities at Elinotel Apolamare. The sandy beach with small pebbles stretches out to the left and to the right, offering plenty of playground space for children during the day and inviting you for a stroll along the seaside in the evening. 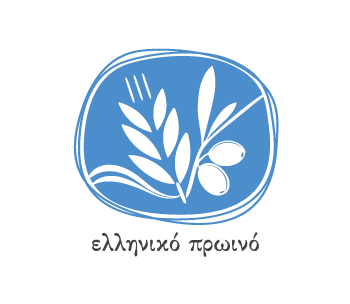 Apolamare hotel is situated on the enchanting coast washed by the blue waters of the Toroneos Bay, in the residential area of Hanioti, at a walking distance (5 minutes) from the centre of the village. 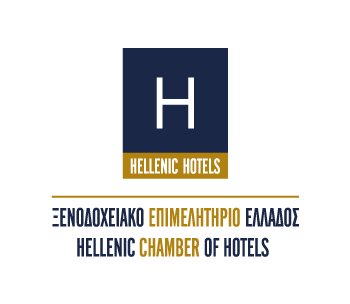 The distance to the international airport of Thessaloniki (SKG) is 90km, that allows an easy access to all areas that might interest you on Halkidiki Peninsula. Hanioti is a small and very picturesque village in the beautiful area of Halkidiki, on Kassandra peninsula, just 60 minutes’ drive from Thessaloniki. There are a lot of hotels, restaurants and traditional taverns that will satisfy every traveller. Water sports, shops will entertain any visitor and satisfy every taste. All the stated above makes the village ideal for relaxing holidays.